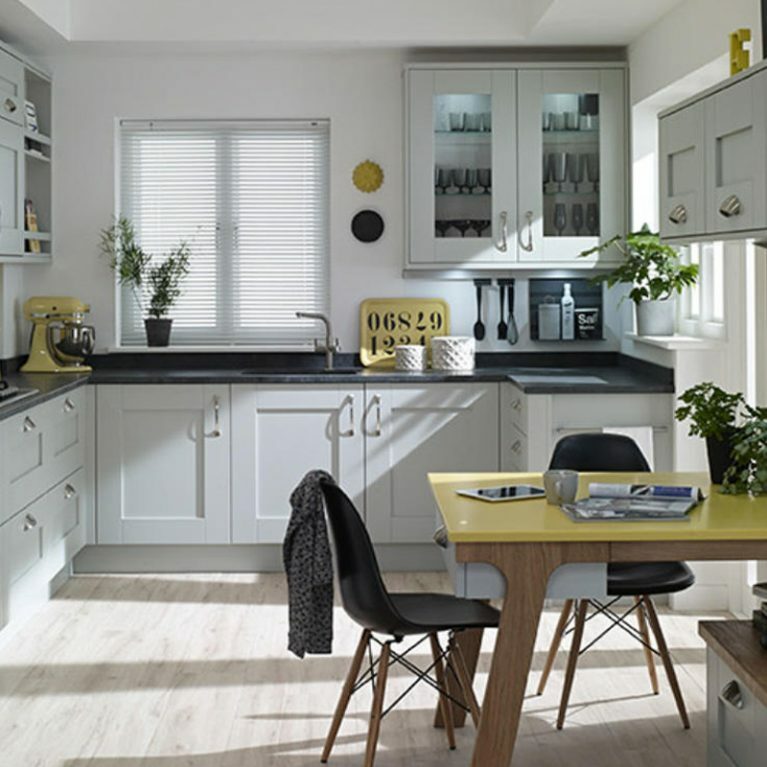 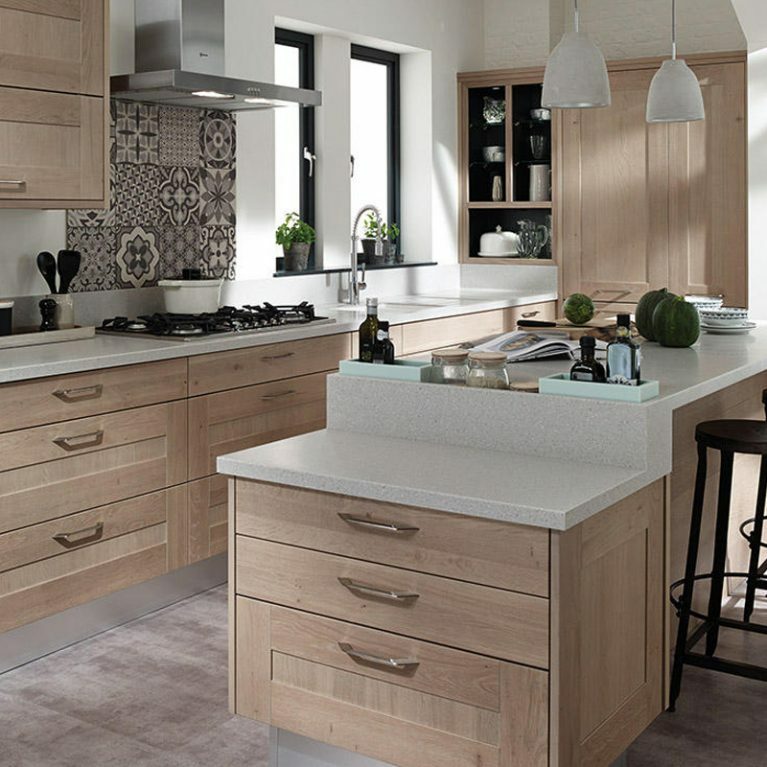 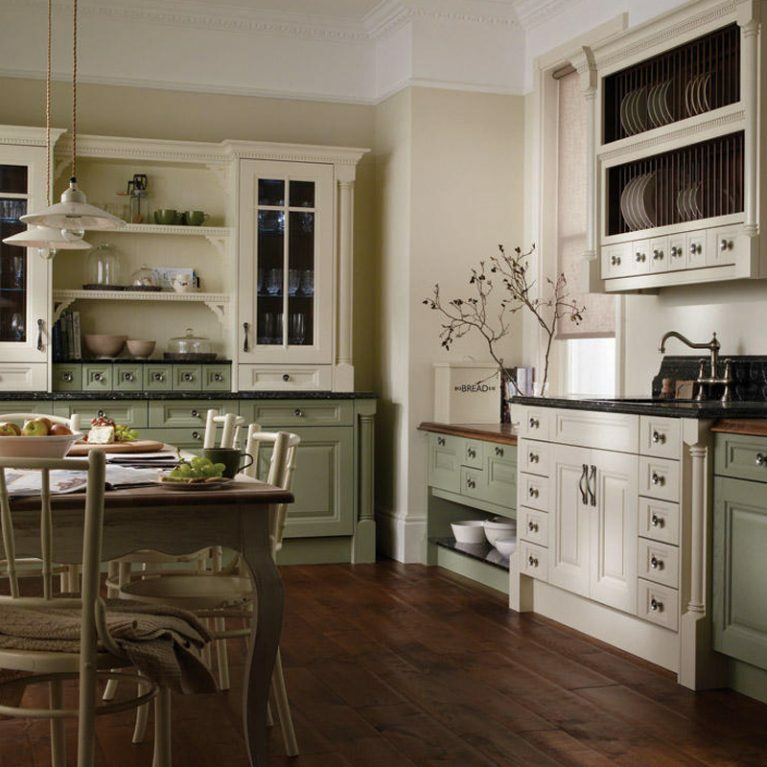 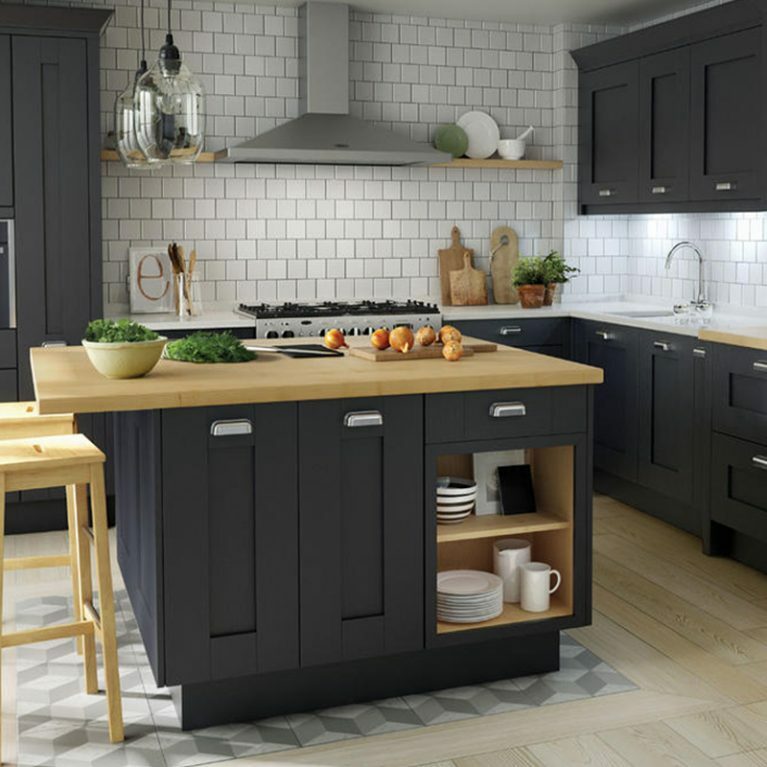 The Milton Painted is a stunning shaker-inspired kitchen available to transform your home today, from Number One Kitchens based in Manchester. 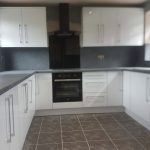 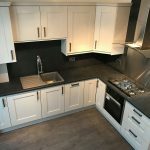 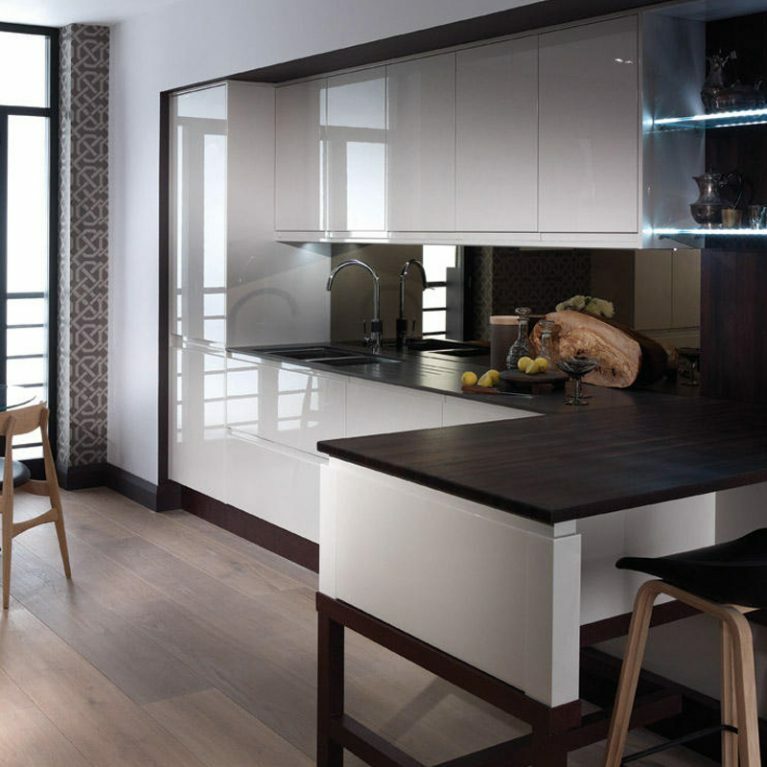 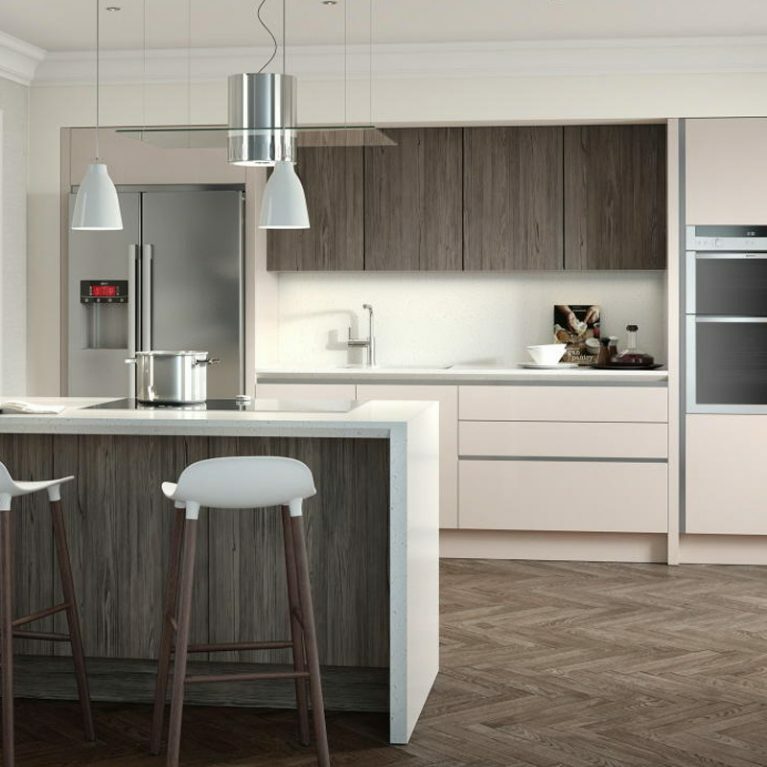 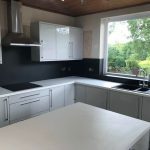 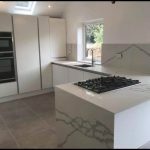 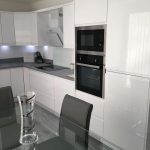 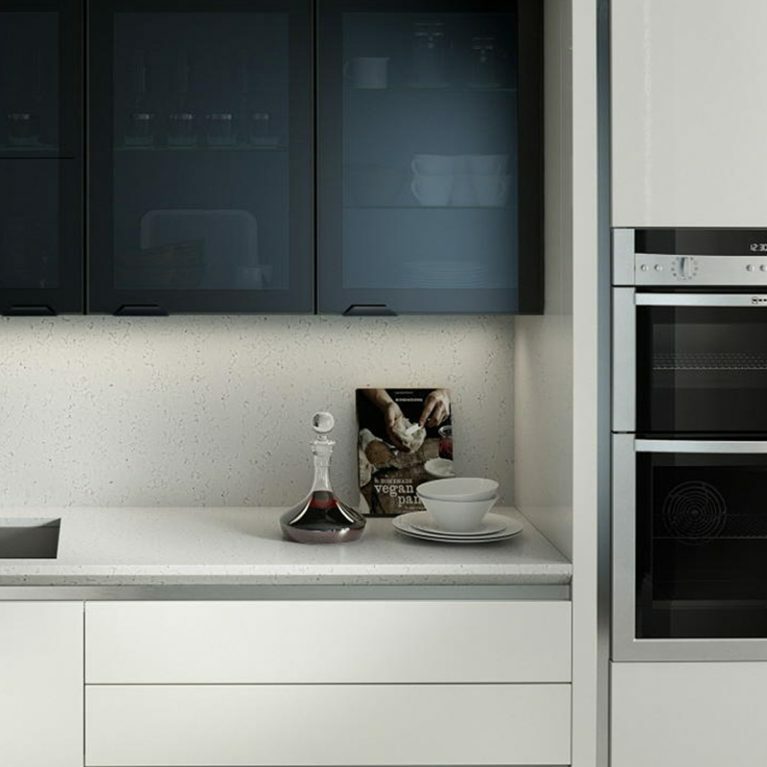 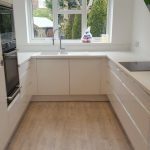 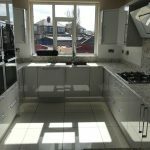 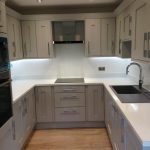 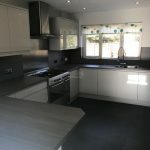 This beautiful and contemporary kitchen is finished with clean lines and slick design features, maximising space and storage opportunity but without compromising on a modern finished look. 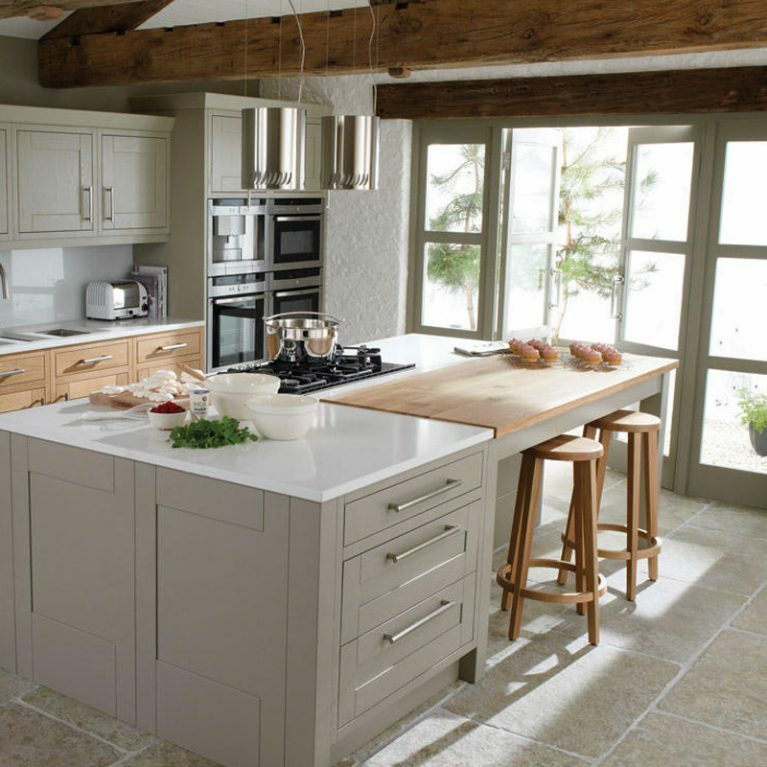 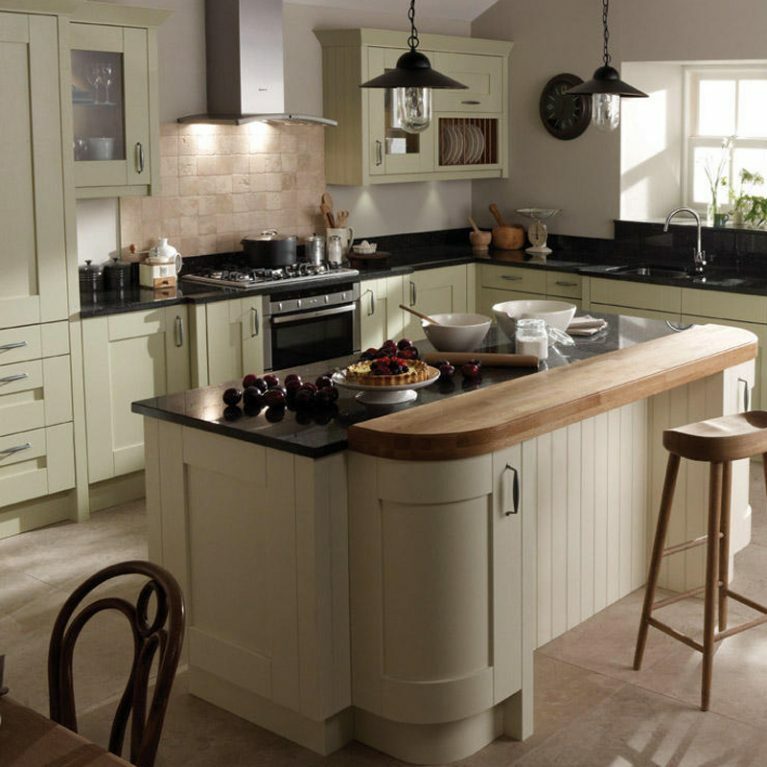 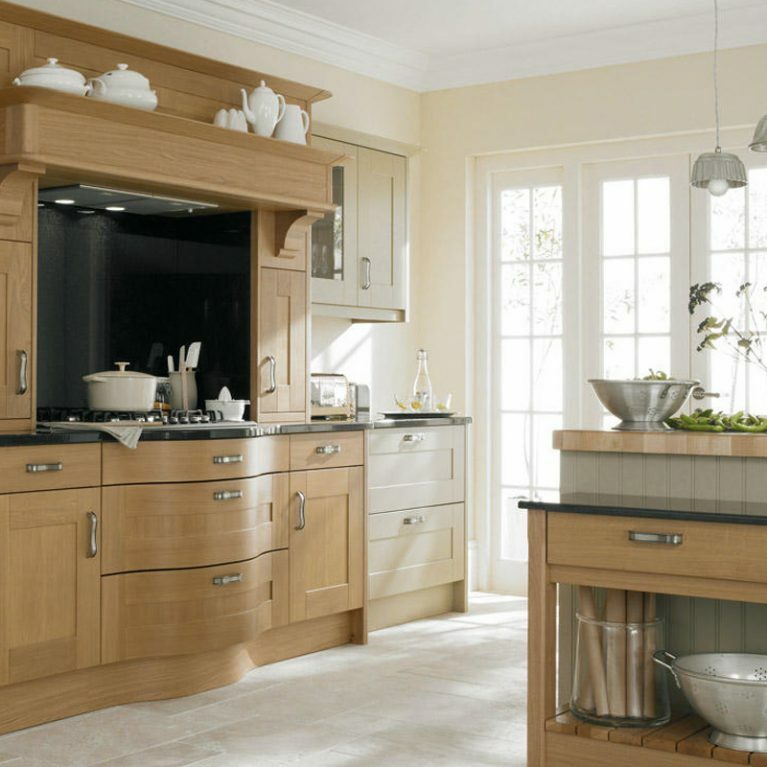 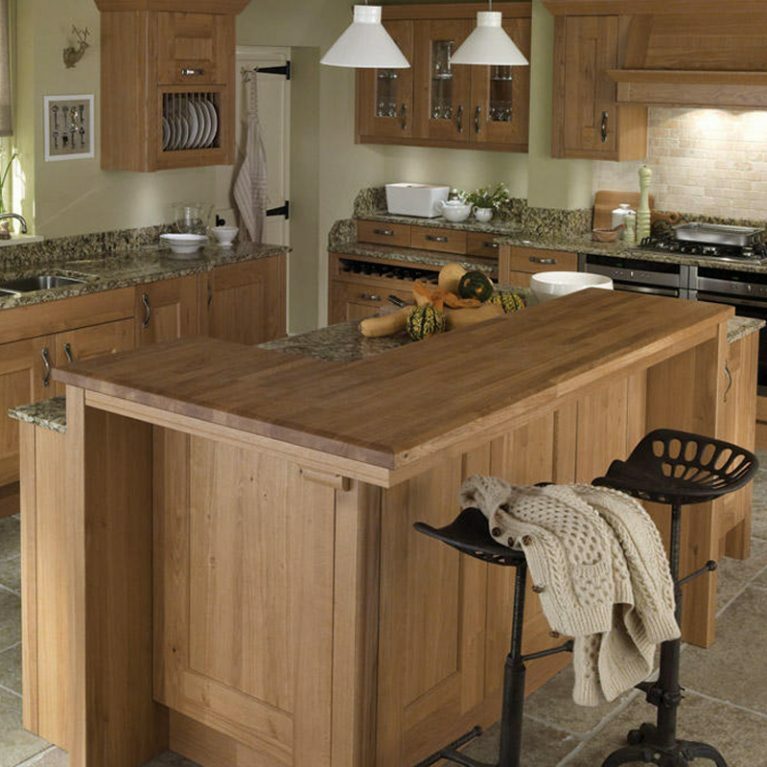 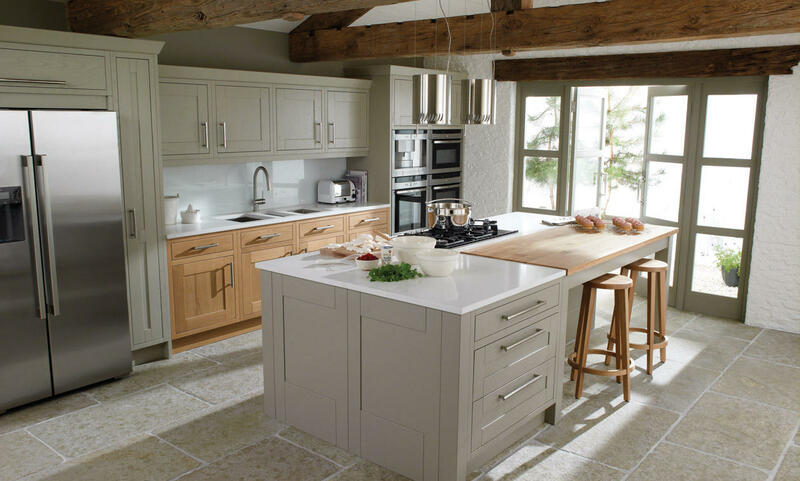 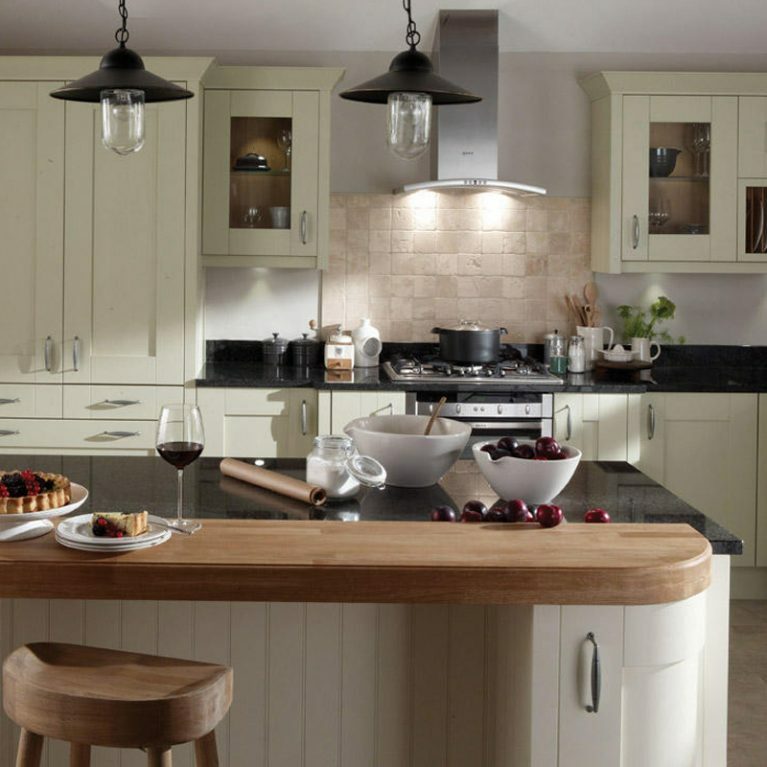 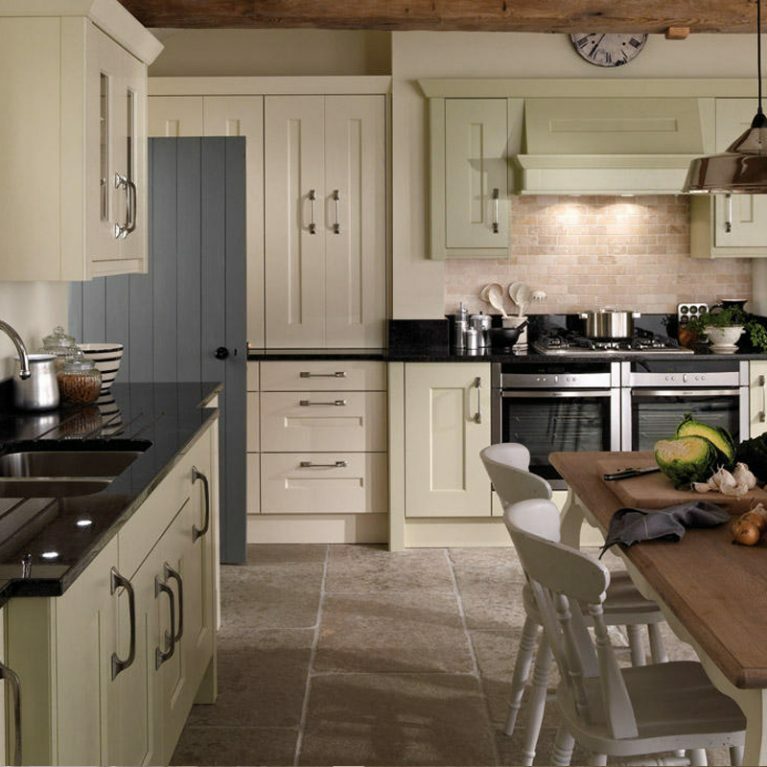 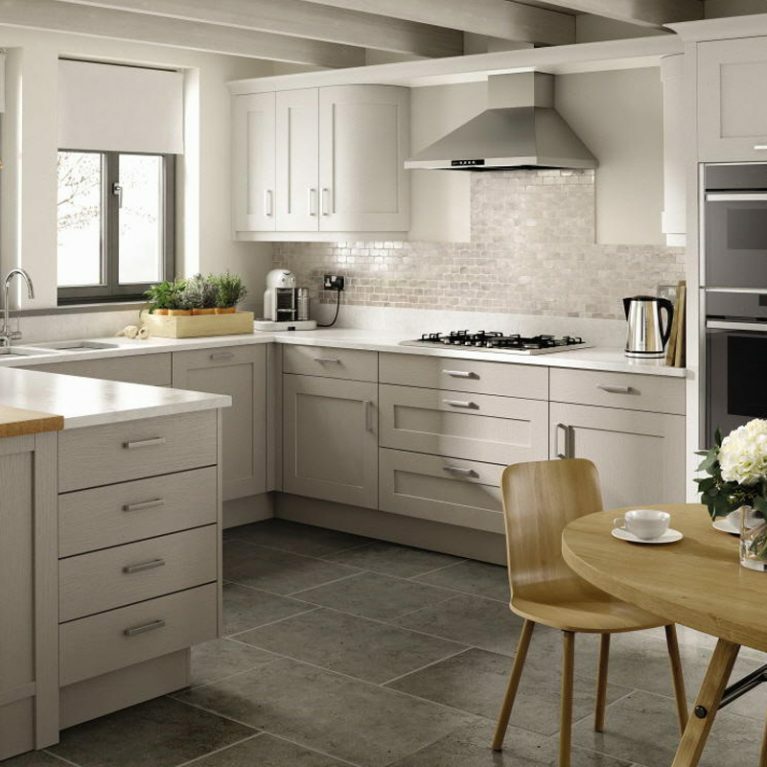 Set in a solid timber frame, you can rest assured that with the Milton Painted classic kitchen you’re getting a sturdy and durable frame that is designed to stand the test of time. 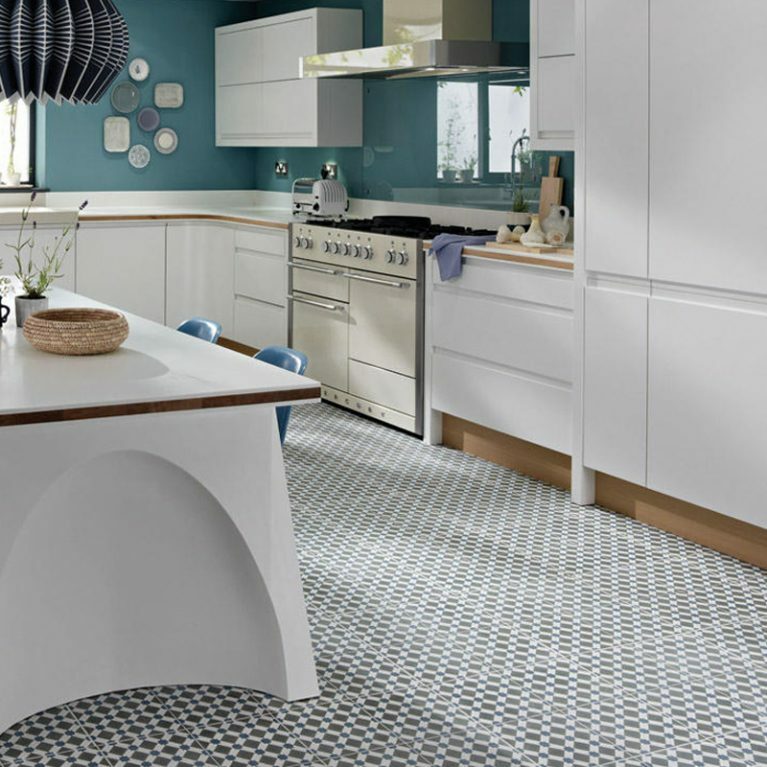 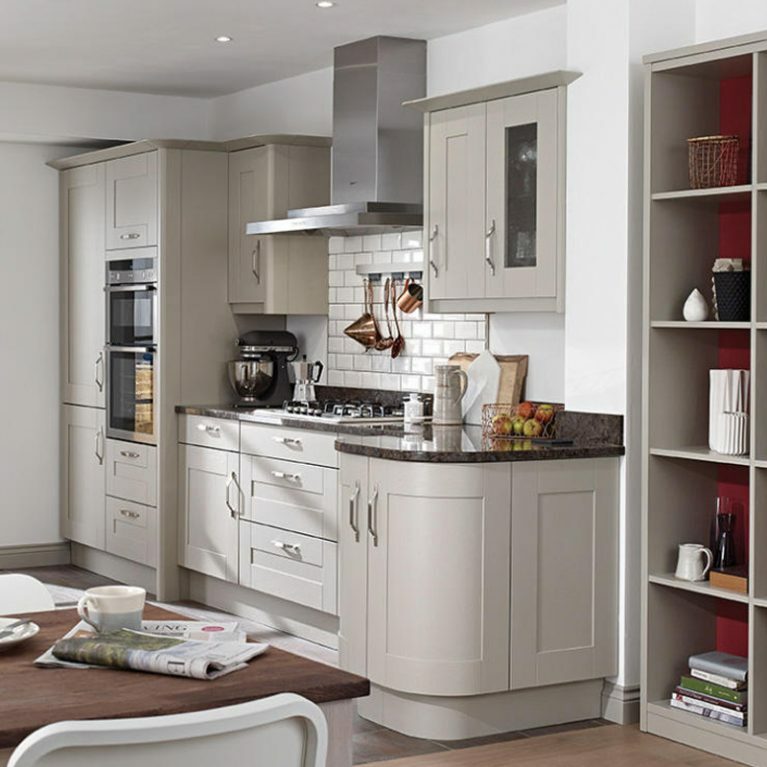 It’s built on a classical in-frame design which is completely flexible to your chosen space, allowing you to work the Milton Painted into your home whatever your house looks like. 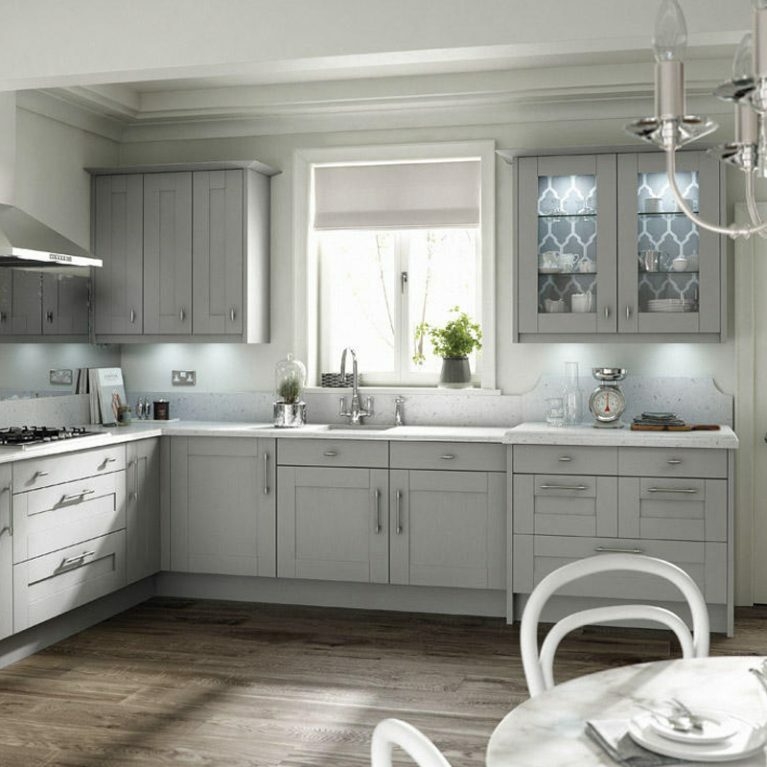 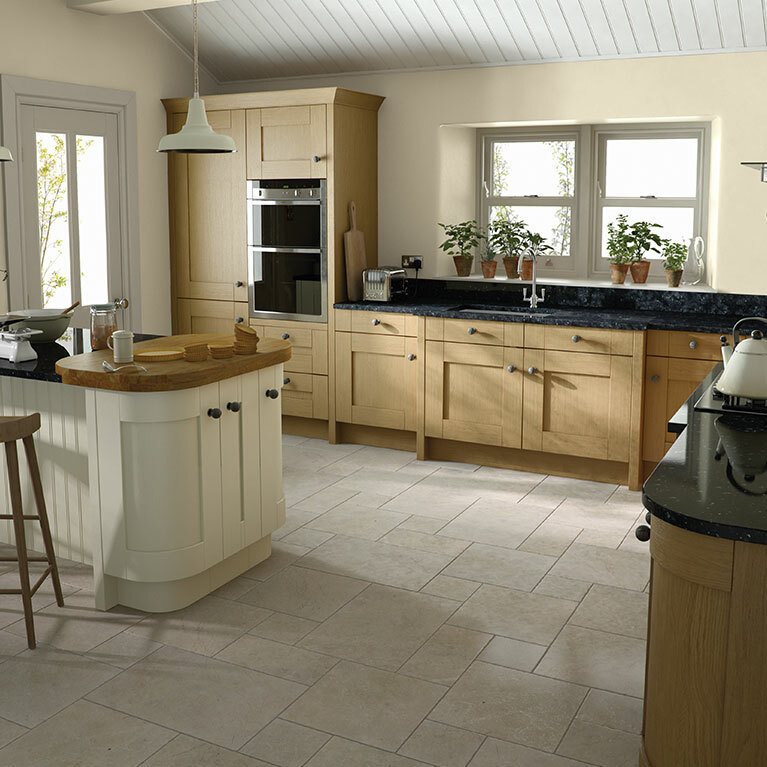 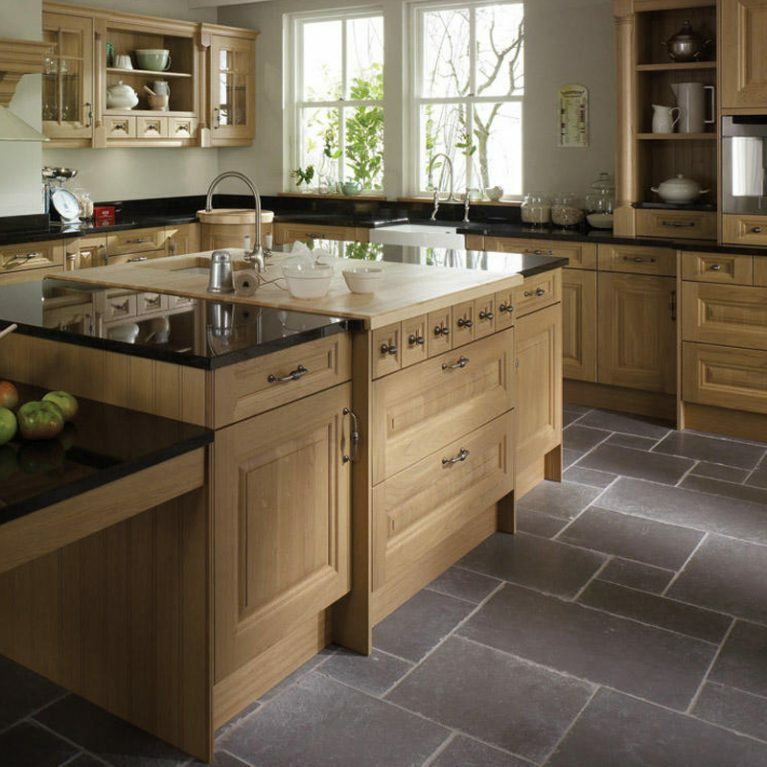 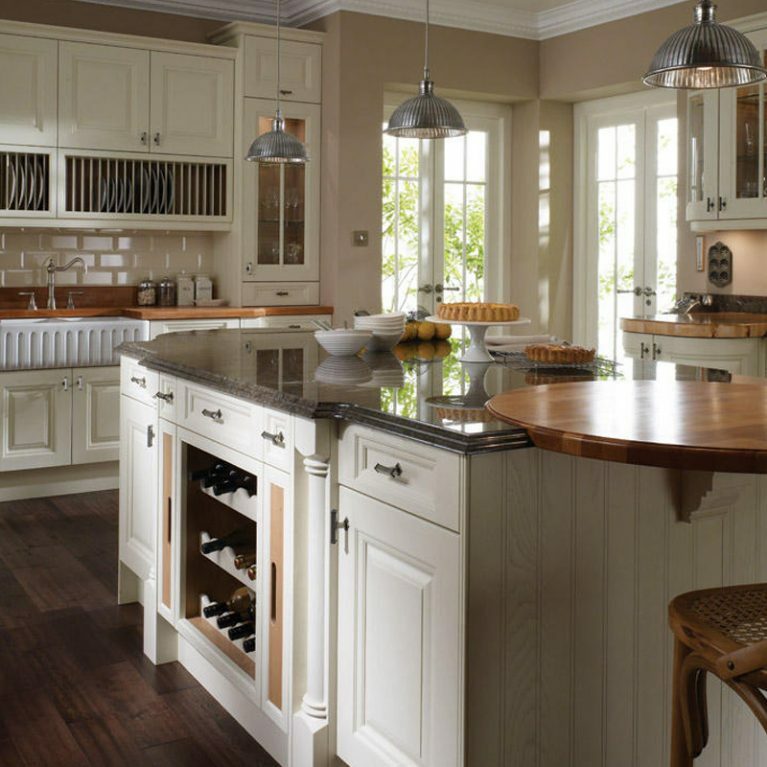 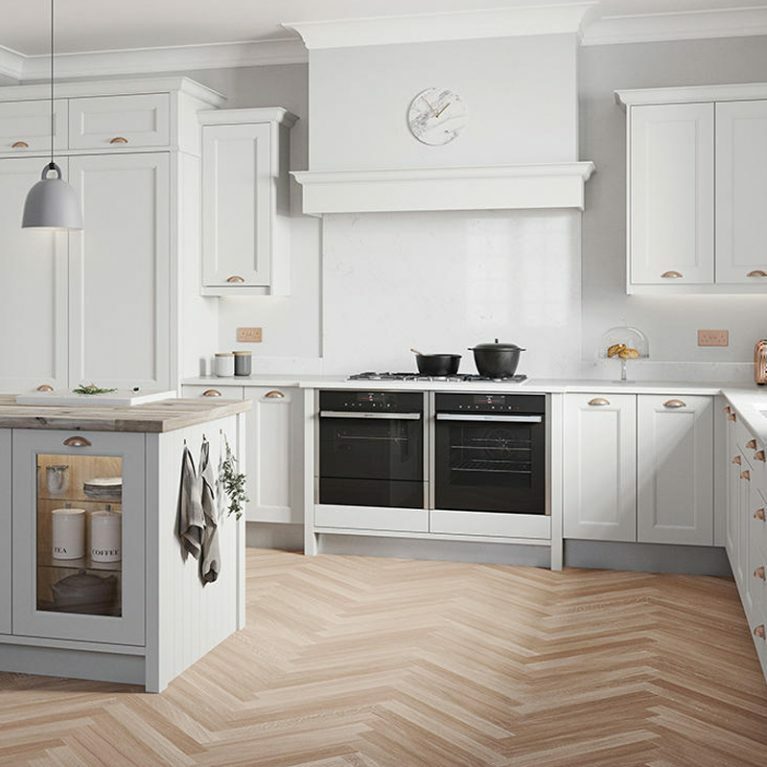 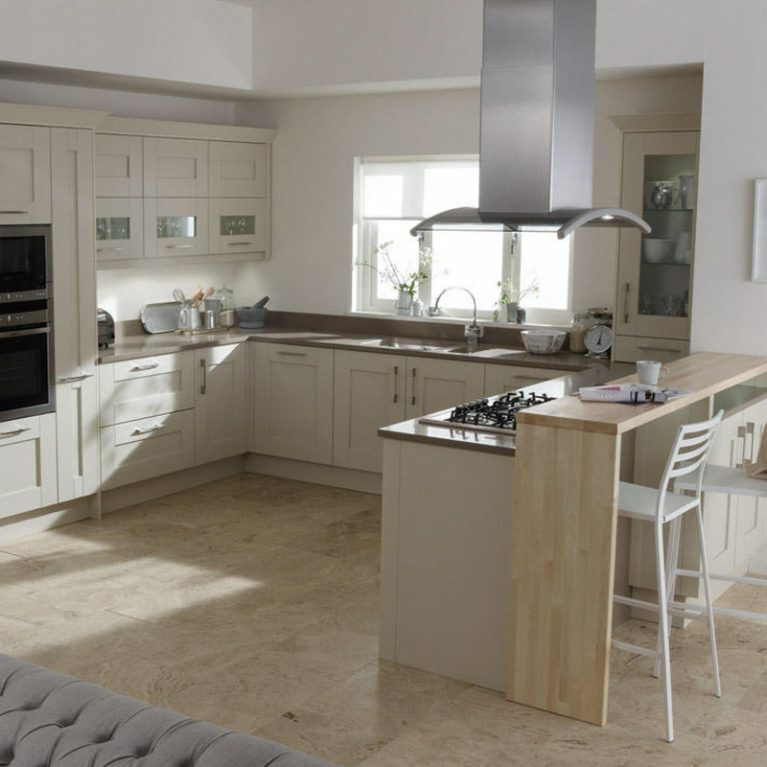 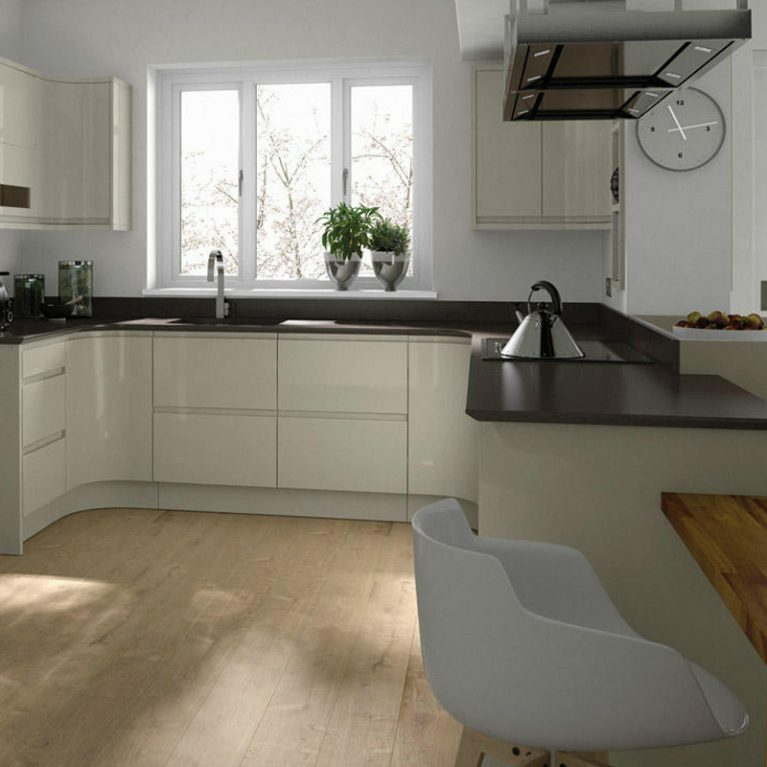 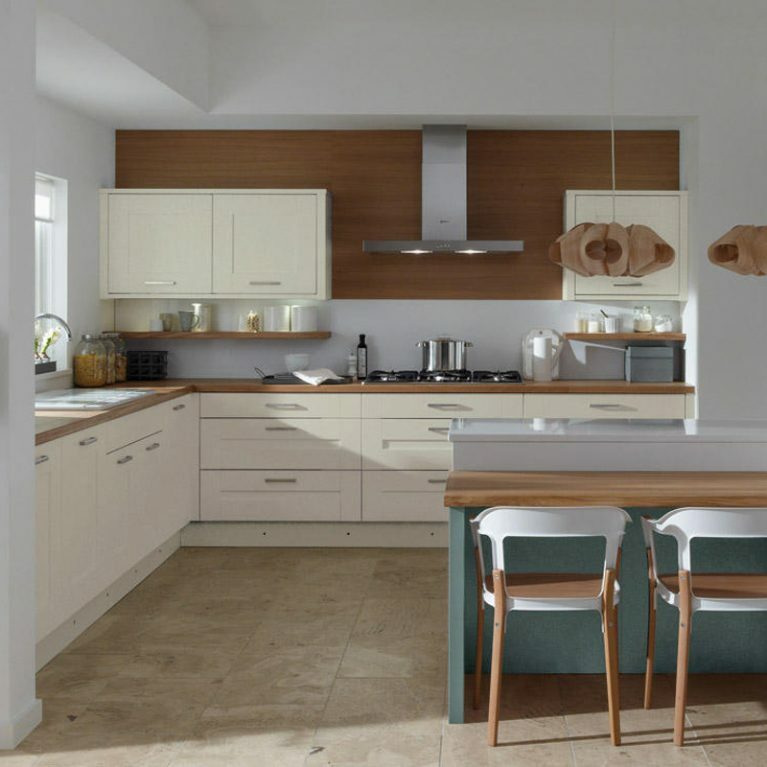 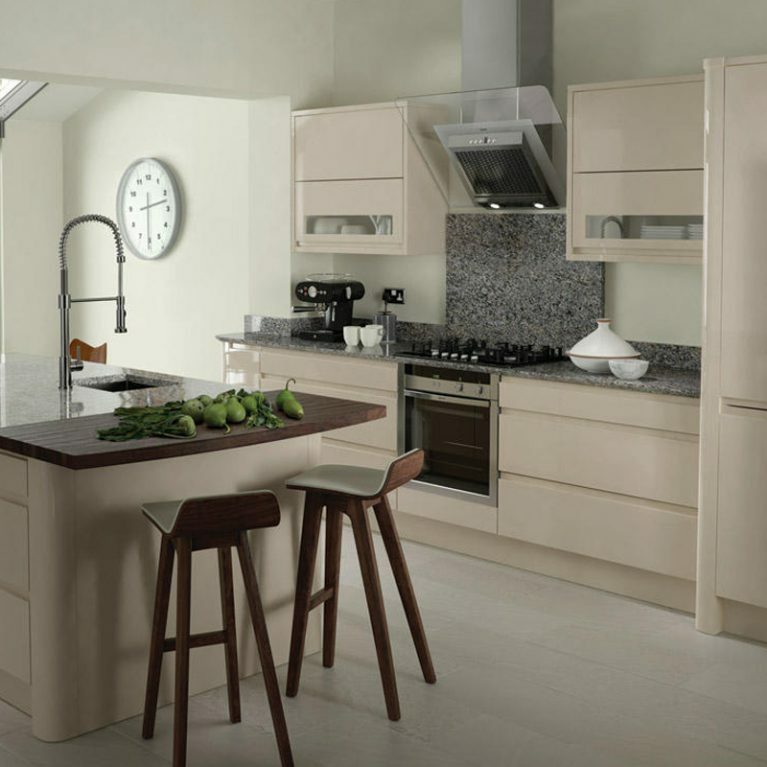 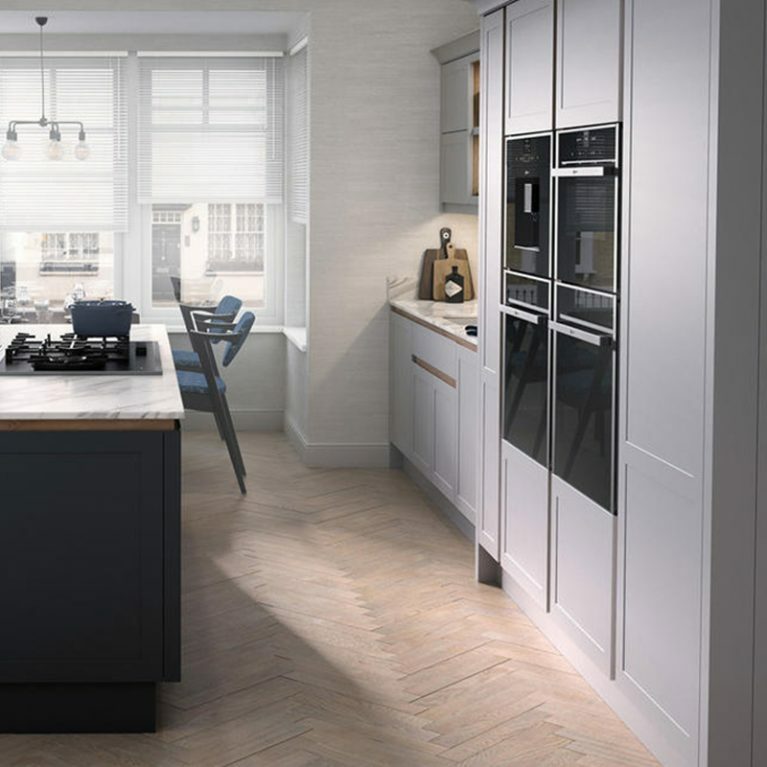 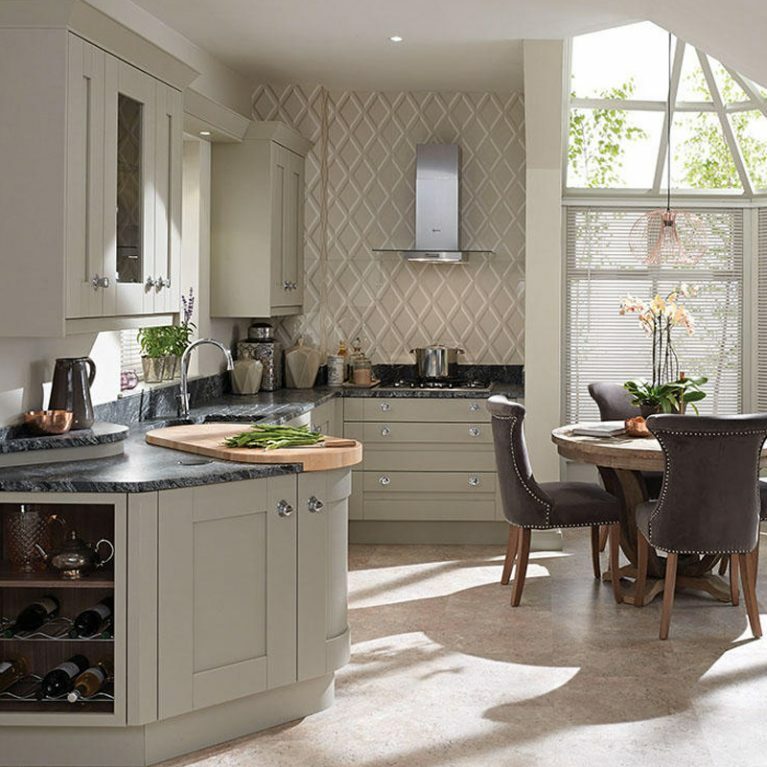 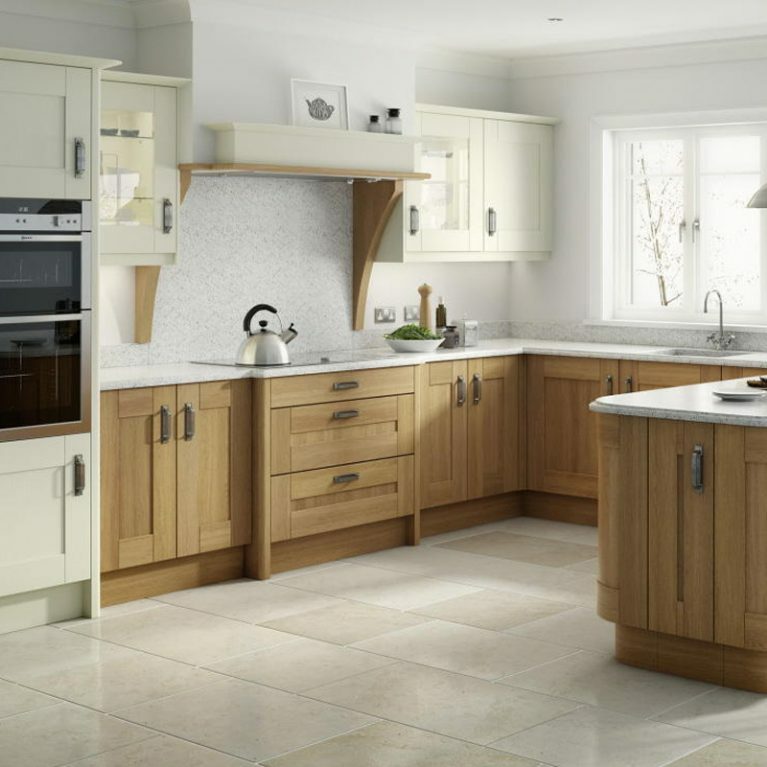 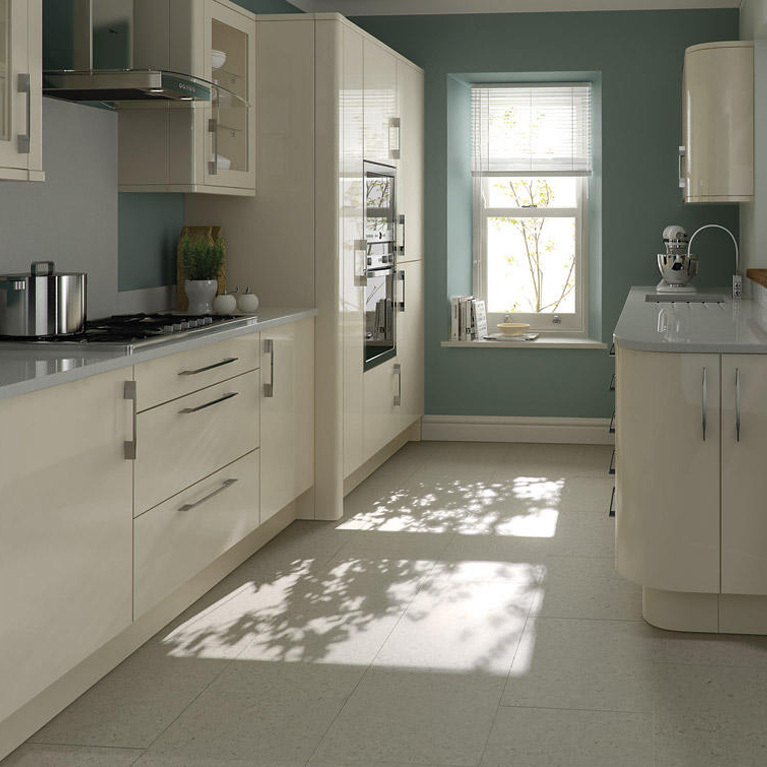 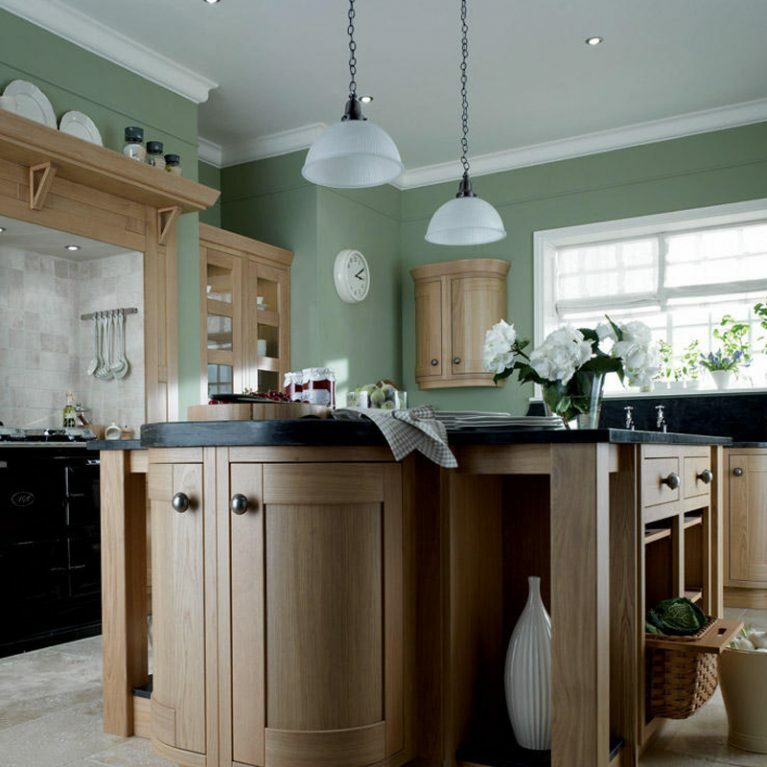 Your Milton Painted classic kitchen will be the perfect foundation for either a modern or period style kitchen design, offering complete flexibility to meet your needs. 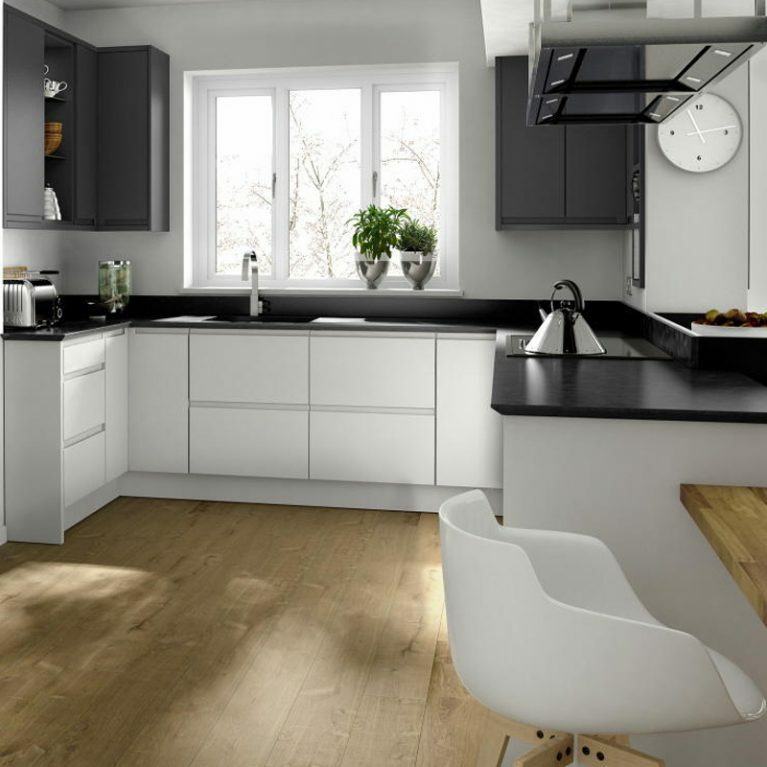 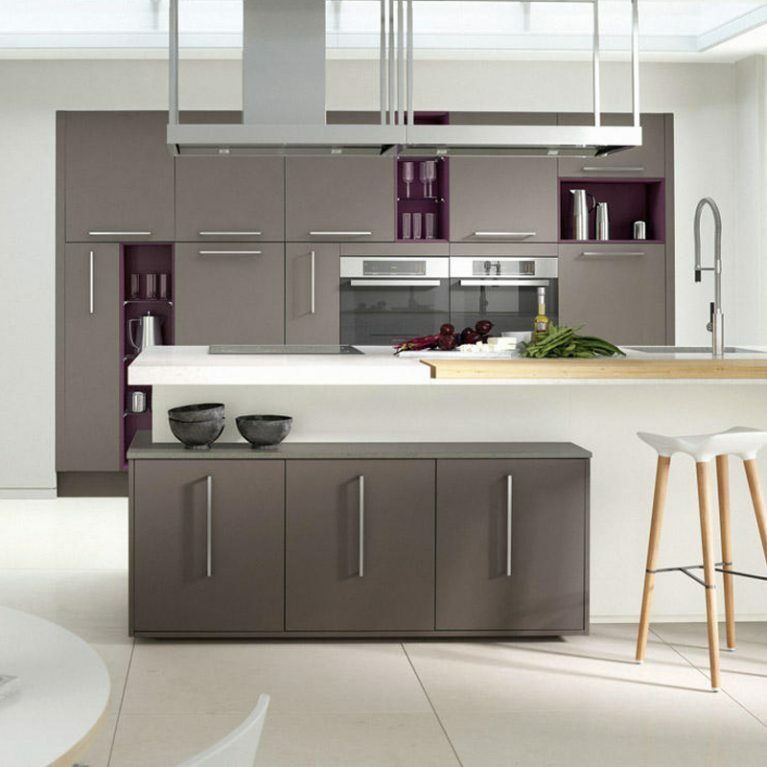 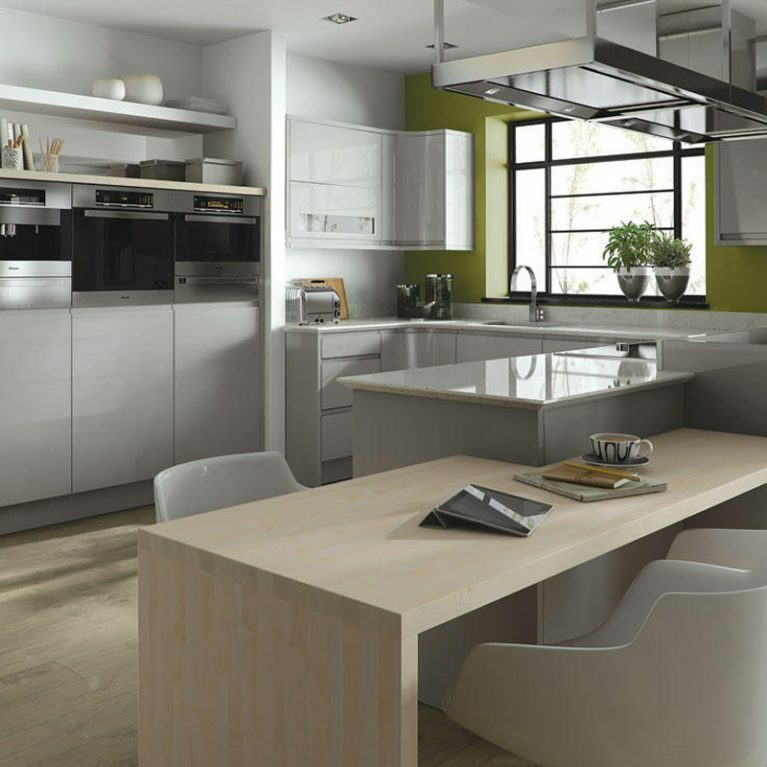 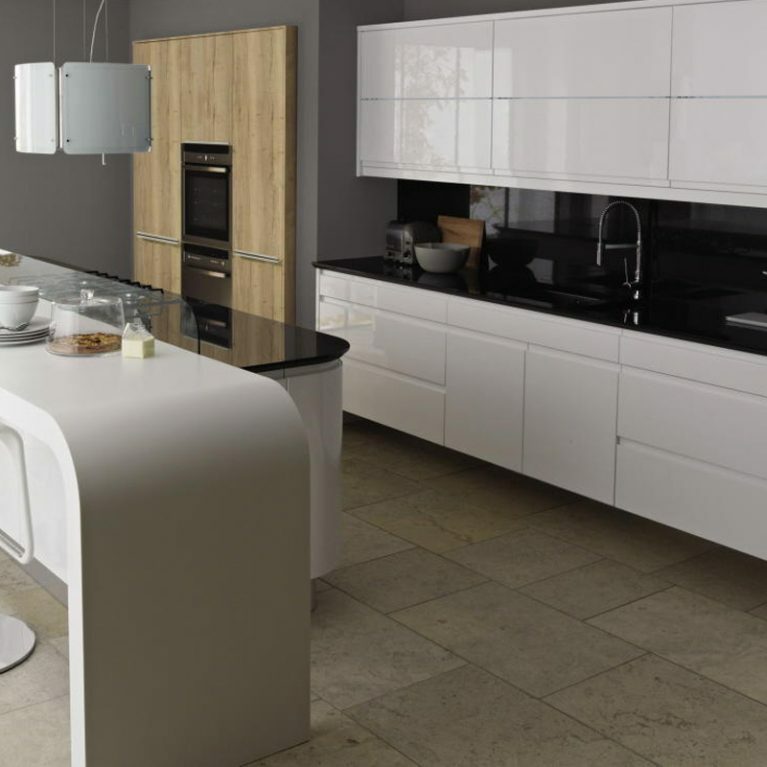 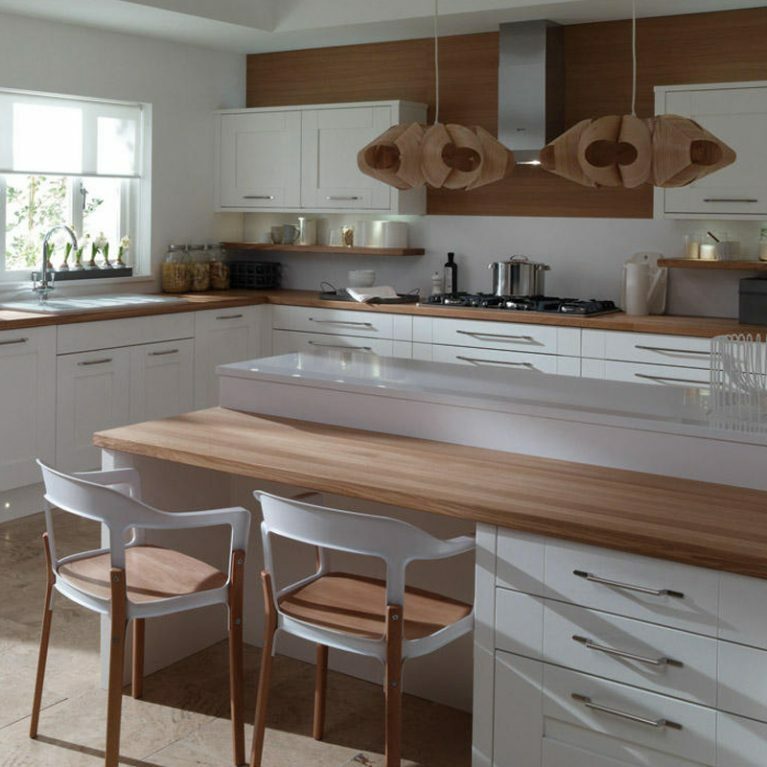 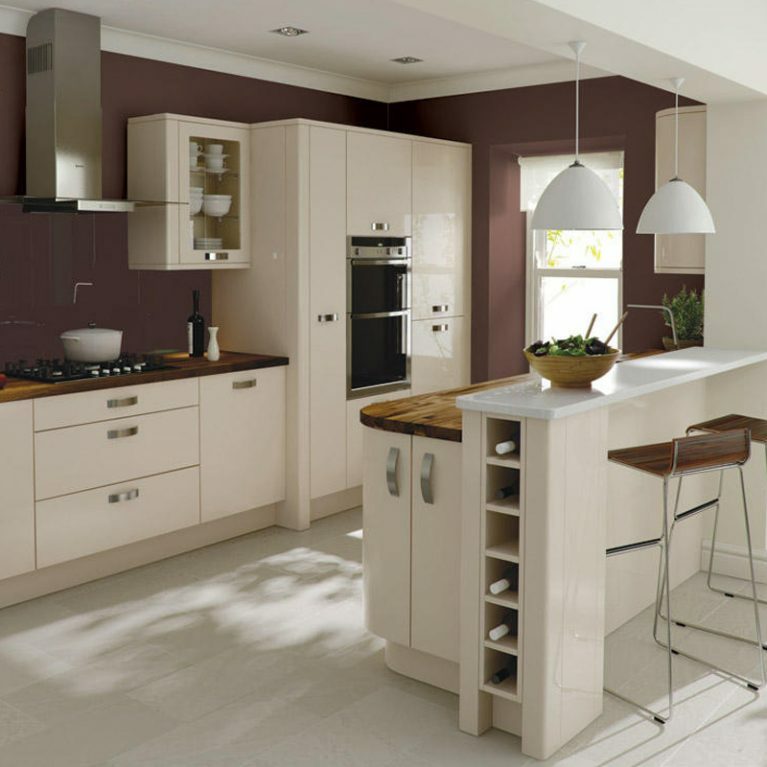 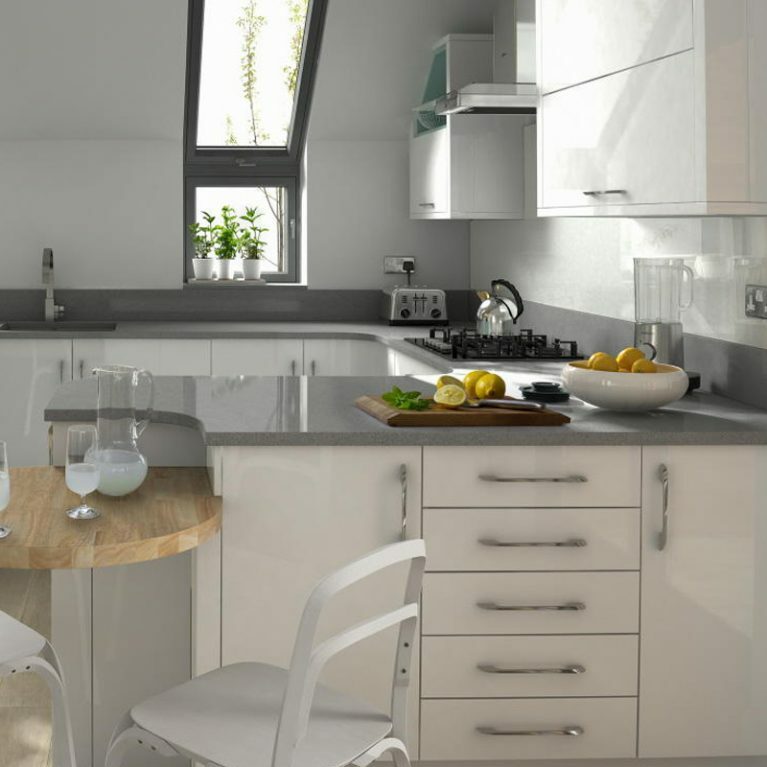 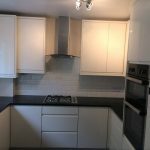 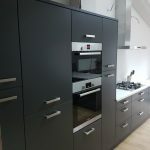 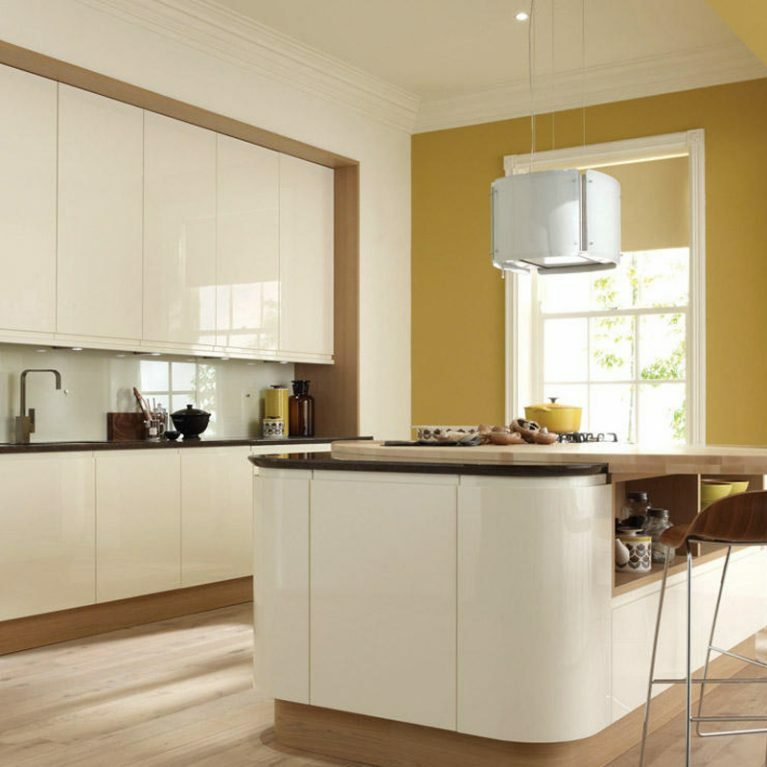 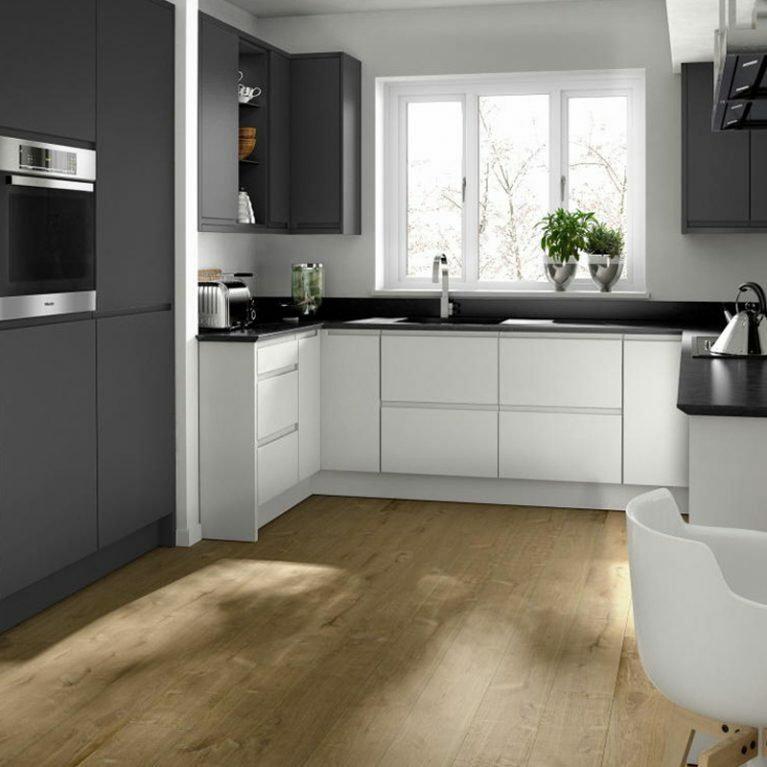 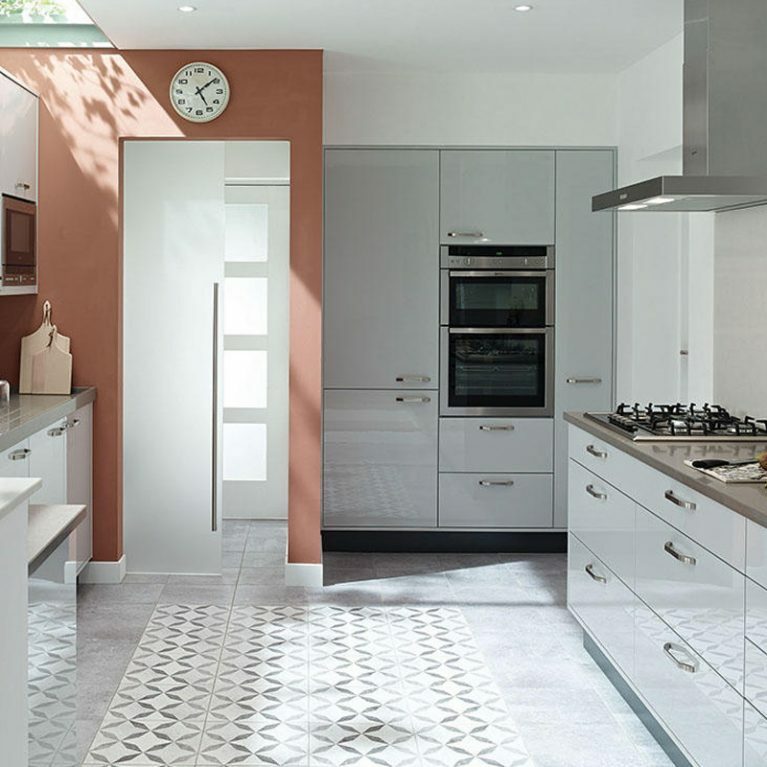 Not only do you have control over the specifications of your kitchen, but you can choose your dream colour scheme too. 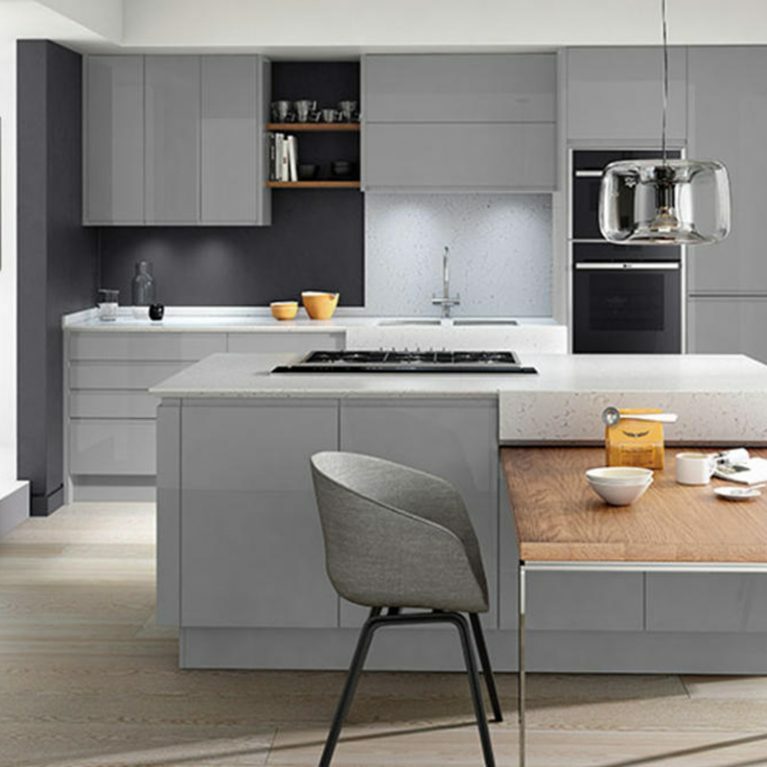 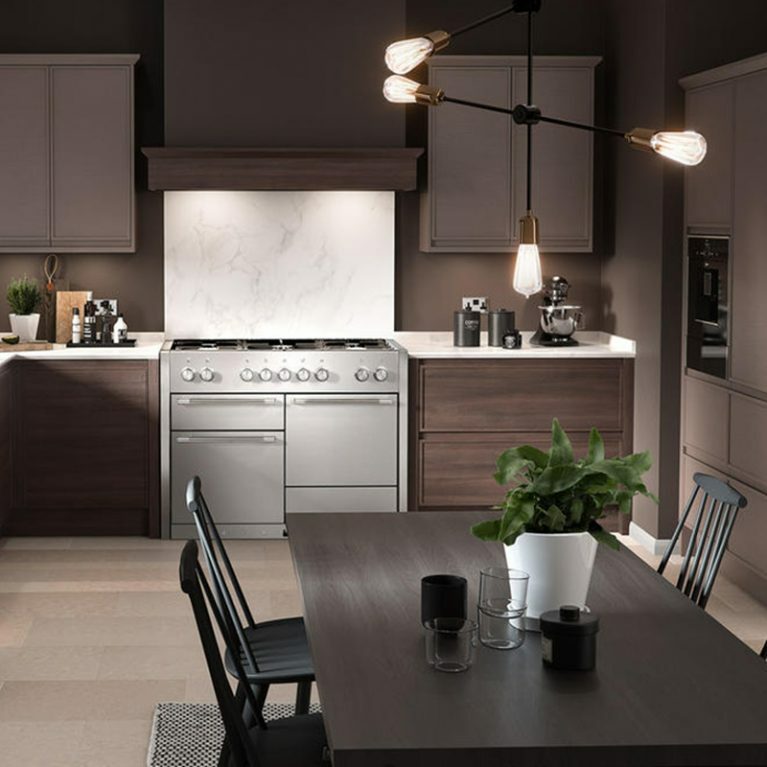 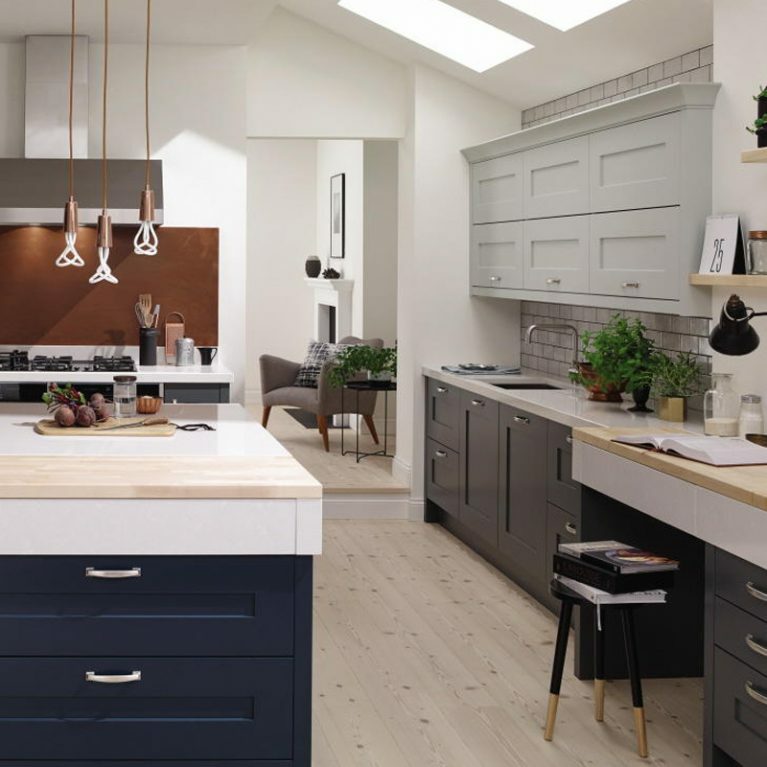 There’s a gorgeous palette of 27 different matte colours ranging from classic, neutral hues to those that are a little more bold and bright, allowing you to experiment and truly bring your dream kitchen to life. 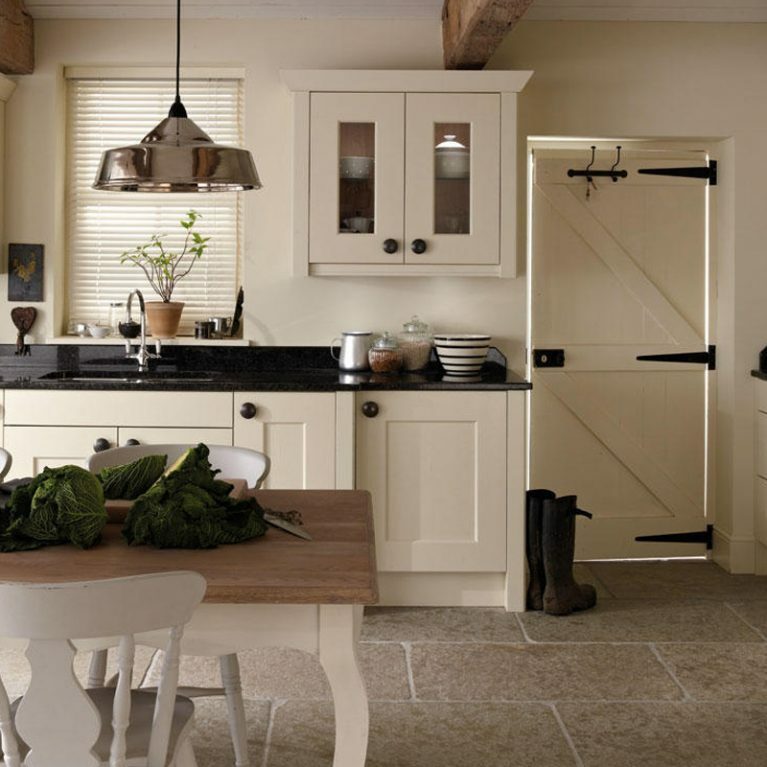 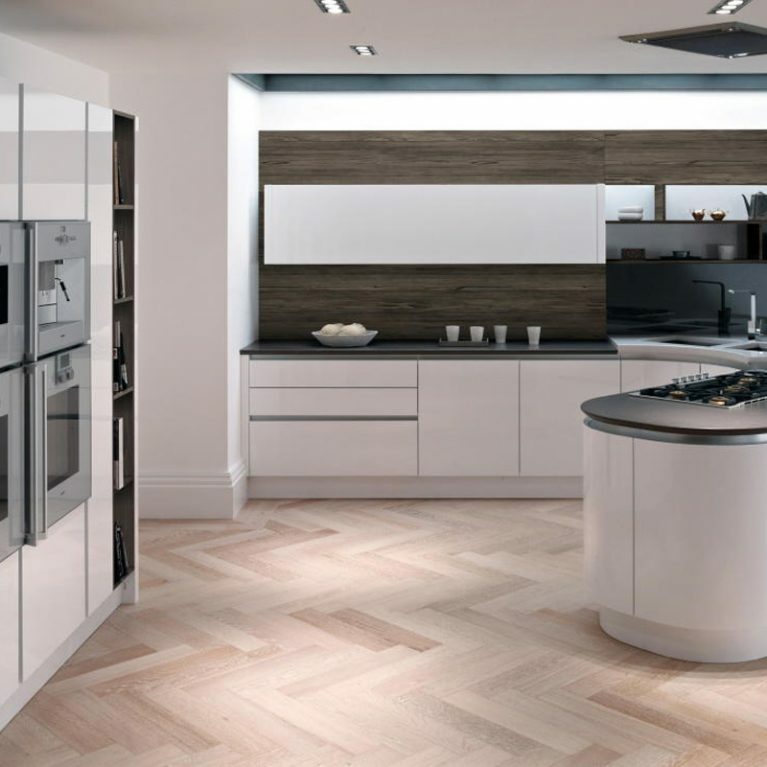 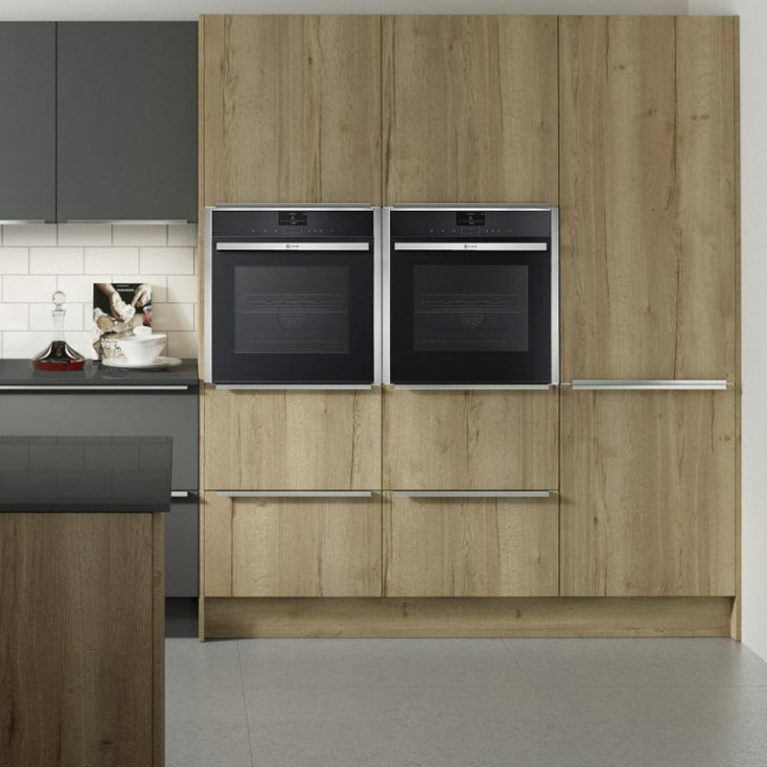 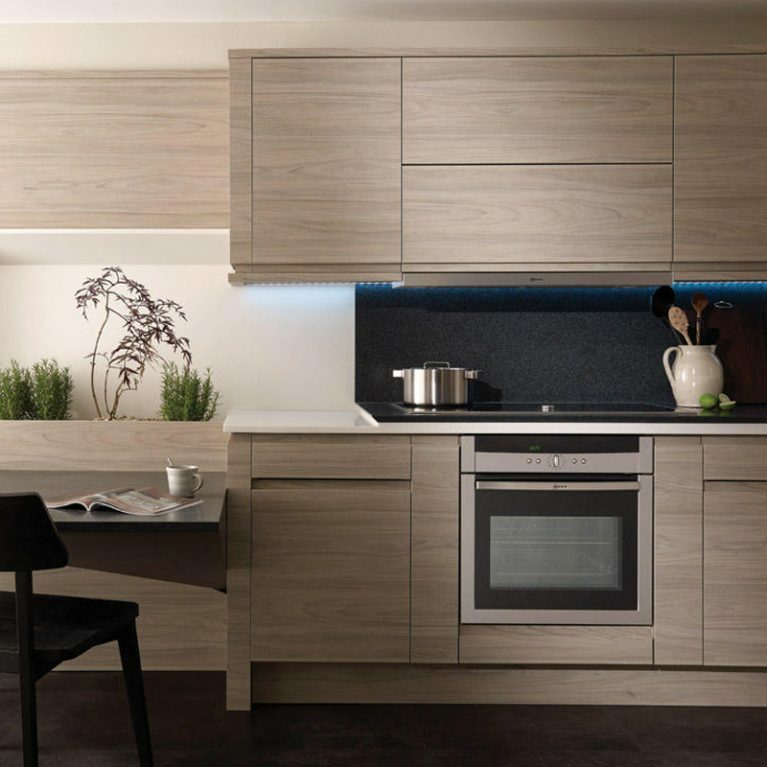 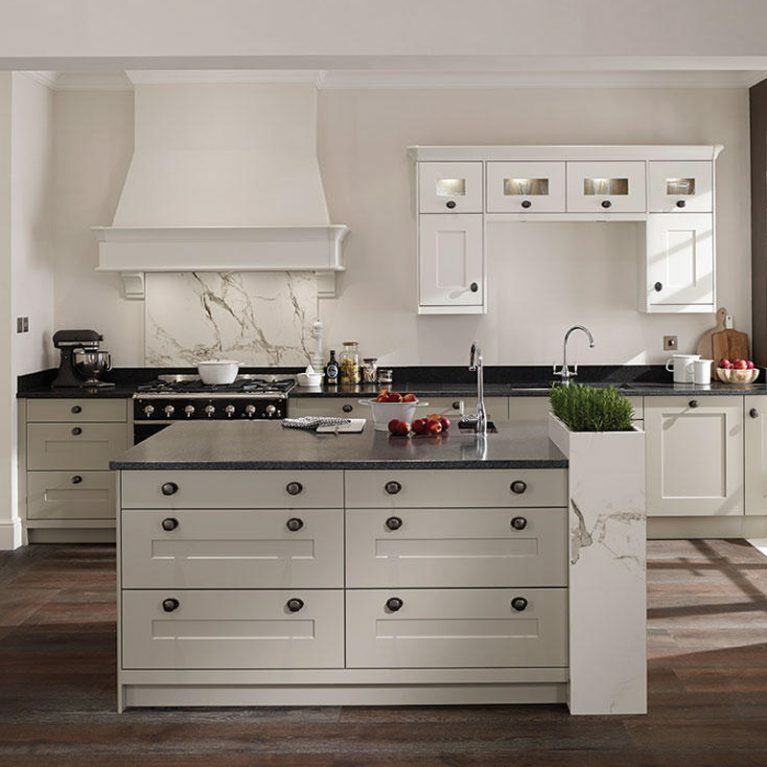 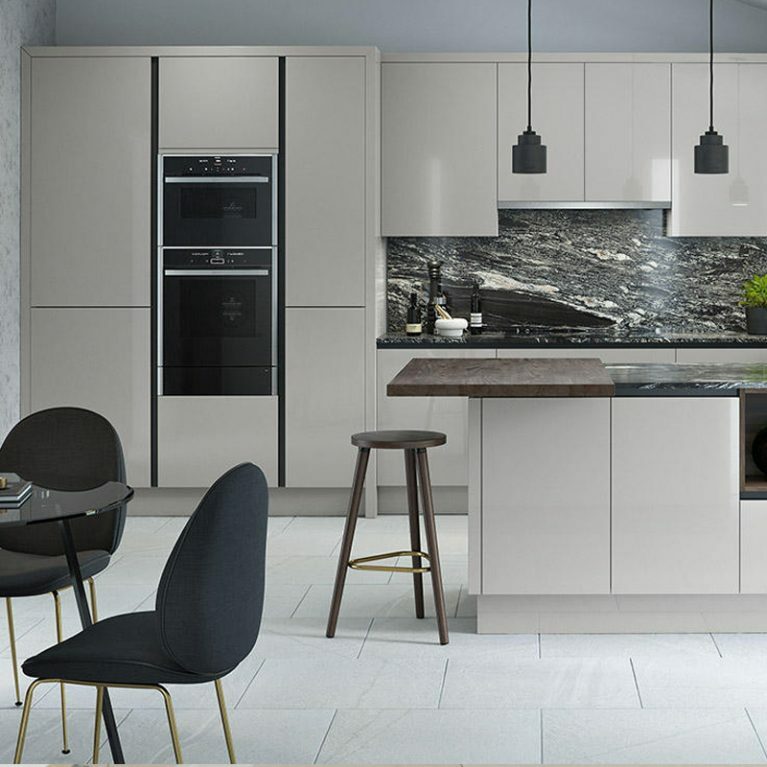 The beautiful, smooth cupboard doors on display here in the Milton Painted kitchen are finished with a stunning grain effect, adding depth to the design and creating a timeless look. 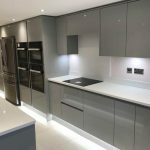 You can choose the handle design which suits your needs best, whether you’d like statement handles for a contemporary feel, or smooth chrome handles to accentuate your design. 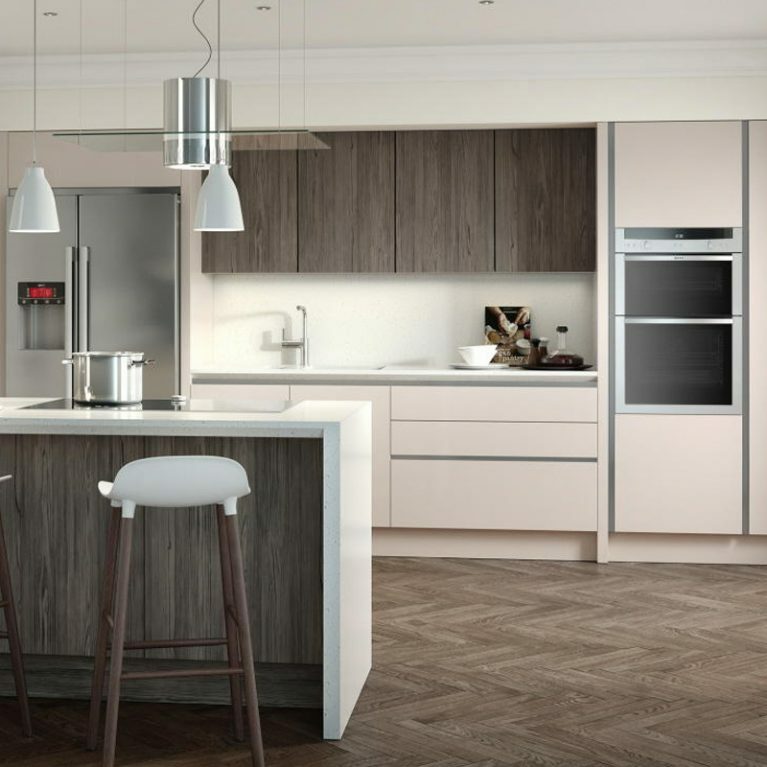 You can also opt for different cupboard door finishes, experimenting with glass doors to showcase your favourite kitchen accessories.